As part of the construction of the Congress Line to the replace the Garfield Park elevated, as well as the desire to remove the elevated track structure from over Market Street so that it could be reconstructed into the double-deck Wacker Drive, a new connection was devised to get trains from the West Side to downtown. 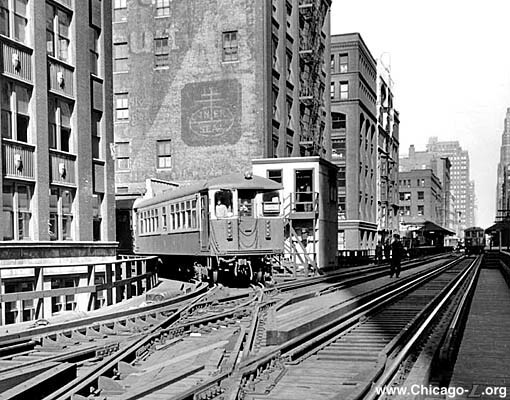 In the end, Congress trains were be routed into the Milwaukee-Dearborn Subway, removing Garfield trains (which would be rerouted via the new Congress Line) from the Loop. This would eliminate the need for the western access to the Loop via the Metropolitan main line, although it was eliminated in stages. 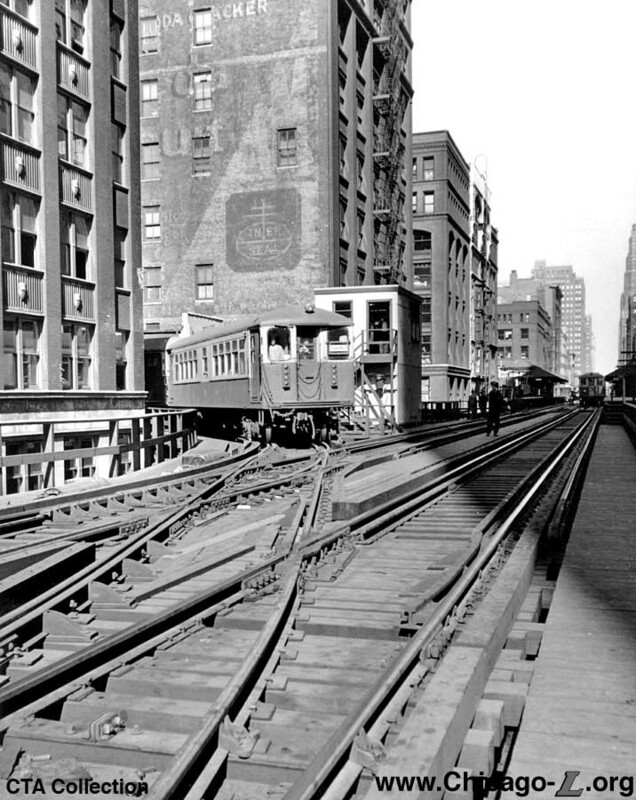 On October 11, 1955, the connector between the Met main line and the Loop via Van Buren and Market streets, connecting at the southwest corner of the Loop Elevated quadrangle, was taken out of service. This closed Tower 8, with the tracks, switches, and tower removed in short order. The Congress Line and its connection to the Milwaukee-Dearborn Subway were not ready yet, so a new, temporary connection to the Garfield Line was established half-block north by breaking through the abandoned stub-end Wells Street Terminal, which fronted on the Loop Elevated just south of Quincy station. In spring of 1955, the top two floors of the Wells Street Terminal headhouse were removed, The two northern stub tracks were extended through the old station and into a new connection to the Loop, with the south track turning south onto Wells Street, branching and connecting to both the Inner and Outer Loop tracks, to allow inbound trains onto the Loop (the Loop was operated uni-directionally at the time, with traffic moving counterclockwise on both tracks). A similar connection was made from the north from both the Inner and Outer Loop onto the north track. A diamond hand-throw crossover was located west of the junction and the two south tracks of the old Wells Street Terminal were left for emergency storage use, with hand-throw switches connecting them to the main west of Franklin Street. A simple two-story interlocking tower was built in the middle the junction, west of the Outer Loop track, to control the interlocking. The new junction, dubbed Tower 22, went into service on October 11, 1955. Tower 22 and its associated junction remained in use until June 22, 1958, when the new Congress Line opened and all services here were rerouted via the Congress and Milwaukee-Dearborn Subway. At that time the interlocking was converted to hand-throw switches. The tracks were demolished west of Wacker Drive, leaving just a four-track stub (two mains and two siding tracks) from Wells to Wacker. The stub tracks remained for several years as a seldom-used siding for work trains and emergency storage. The removal of the Met's old Scherzer Rolling Lift Bridge in 1961 precluded any connection between the terminal and a line, existing or proposed, to the west. The junction and remnants of the terminal between Wells and Wacker remained until they were removed from service on July 17, 1964 and finally demolished in August 1964.